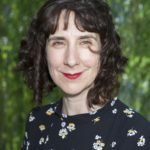 Sinéad Morrissey was born in Northern Ireland in 1972 and educated at Trinity College, Dublin. She has published six collections of poetry: There Was Fire in Vancouver (1996); Between Here and There (2002); The State of the Prisons (2005); Through the Square Window (2009); Parallax (2013) and On Balance (2017). Her awards include the Irish Times Poetry Now Award (2009, 2013) and the T S Eliot Prize (2013). In 2016 she received the E M Forster Award from the American Academy of Arts and Letters. On Balance was awarded the Forward Prize in 2017. She has served as Belfast Poet Laureate (2013-2014) and is currently Director of the Newcastle Centre for the Literary Arts at Newcastle University.